Reading and writing texts online are basic skills that students need to be literate citizens in the 21st century. 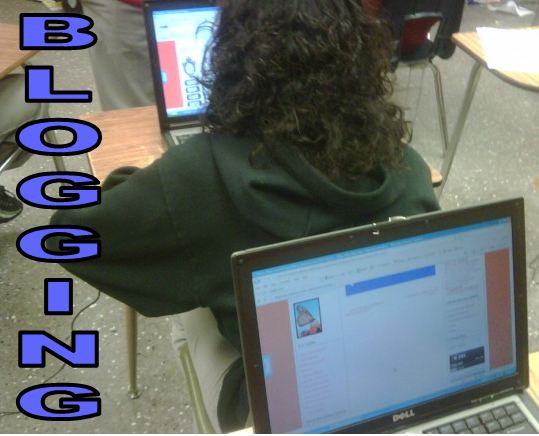 Teaching with blogs provides the opportunity to engage students in both of these literacy activities. It also provides the students with a venue so that students are expected to publish and share their writing with an authentic audience. When students write entries and comment on the entries of their peers, blogs become an integral part of a lively literacy community. Students can post on such topics as journal/diary entries, reflections on their educational progress in school, details on their research projects and commentary on recent events or readings. Students will be expected to blog regularly on this site. Once a student posts an entry or comment, others from our community are expected to respond, provide supportive feedback, and offer additional suggestions or perspectives. By writing and commenting on blogs, students write for real readers (not just for their teachers). As a result, students focus on clear communication and get immediate feedback on how effectively they communicate with others.